Formulated with Dr. Alkaitis' Grass Juice Complex, Sea Vegetable Complex, Vegetable Protein blend, Vegetable Complex and Seed Complex. Recommended for skin that needs to be calmed and revitalized, you can use this mask weekly. Made 100% from plants. Dr. Alkaitis only formulates with organic, biodynamic or wild crafted herbs, plants, seeds, (sea) vegetables and oils. 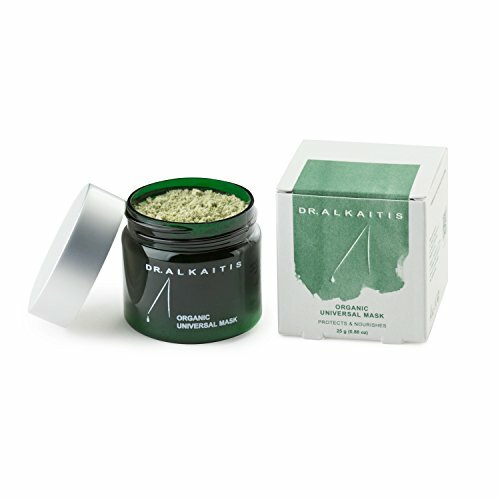 Dr. Alkaitis sources all plants and ingredients only from growers and wild crafters he personally knows and trusts. Our ingredients and products are never tested on animals.